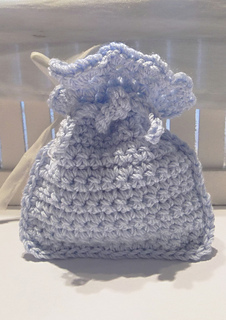 This Little Lavender Bag is really quick to make and a little bit addictive to crochet. Must admit to making loads as little gift bags. Perfect for storing buttons, filling with sweets and all sorts of goodies and for using up lots of little bits of left over yarn. 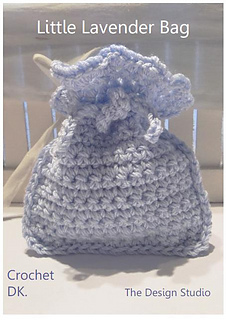 The little drawstring bag takes just 70 to 80 yards of Cotton DK yarn, making it a great project for using up some of the stash. The pattern is written for one size: 10cm x 11cm, but the pattern could also be very easily adjusted to make any size by simply altering the number of chains and rows worked. Written in very simple terms for those new to crochet and requiring very basic knowledge of single and double crochet.